sold for $3,329 and weighed in at 3,275 pounds. After five long years of uphill battle against its ever-increasing foreign and domestic competitors, Rambler Canada was ready with an assault of its own for 1963. It was an unforgettable attack; one that caught the entire auto industry by surprise. Rambler's shared Classic and Ambassador envelope was new from stem to stern. Prices were just right; all Ramblers were now domestically built, save the sassy little American 440 convertible. Folks in the Brampton, Ontario head office rubbed their hands in the delicious anticipation of really knocking the socks off the competition. At a special company picnic, the 1,200 employees and their families got to see a sneak preview of the new Ramblers before anyone else. The event was made even more memorable with a visit by Peter the Clown, a popular television personality, and none other than CBC newsreader-and Rambler spokesman-Earl Cameron. For the first time in American Motors’ history, there was no Metropolitan on the showroom floor. Manufacture of the tiny import had been discontinued in 1960 but it took two more years to clear out the backlog. Consumers took home 330 of them in 1961. 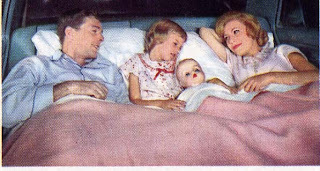 In 1962, Marty Fine, a Rambler dealer in Calgary, cleaned out the last of the Metropolitan stock from head office and sold the lovable little rascals to his eager clients in Alberta. 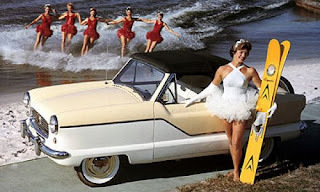 With the adorable Metropolitan gone and no replacement, American Motors simply abandoned that entire under-$2,000 segment of the market. For some 4,000 consumers who thought that the $2,184 Rambler American was too expensive, the rock bottom-priced Austin Mini, the DKW, the NSU Prinz, the Simca and the Skoda were all Metropolitan substitutes in 1963. 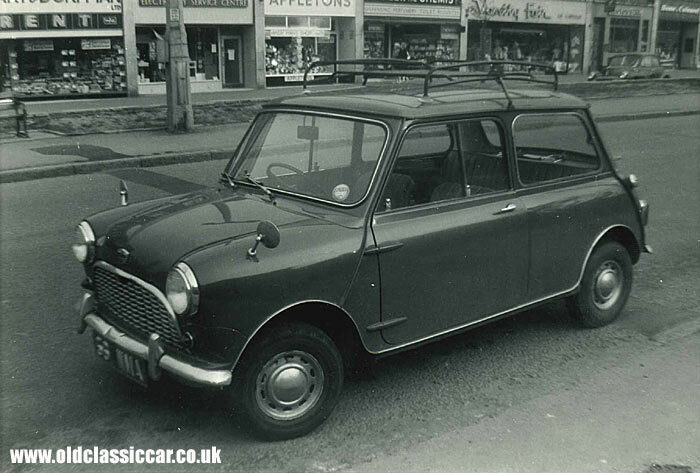 1963 Austin Mini by BMC. 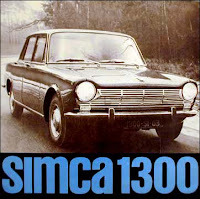 1963 Simca by Chrysler of France. The only imported Rambler this year was the 440 American convertible. The 100-inch wheelbased American took the honours of being the smallest Rambler this year. It was on its third-year of the style cycle. Since the basic envelope was the same, much was made of the 45 important improvements to the vehicle, including “a wide selection of colour-coordinated interiors in rich vinyls and fabrics to satisfy the most exacting taste.” The least expensive of the tribe was the plain-Jane 220 two-door sedan. With its $2,184 price tag, it undercut the most bare-boned Studebaker, Chevy II, Ford Falcon and Valiant by a country kilometre. 125-horsepower form for the Rambler American convertible. 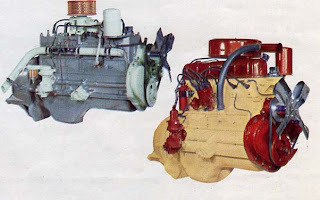 90-horsepower L-head, first seen in the 1941 Nash 600. Of course, the real competition for the smallest Rambler came from abroad. The rise of the Pound Sterling and other European currencies along with higher tariffs imposed by Ottawa meant that the Rambler American would now do battle with a whole host of European contenders including the Austin A40, the Morris 1100, the Fiat 1100, the Hillman 1600, the Triumph 1200 and the Renault R8. represented value to thousands of Canadians. Billed as the only homegrown passenger car with big-car room and comfort combined with small-car economy and handling ease, the Classic 550 two-door sedan listed for $2,538. It competed squarely against the domestically built Corvair, Chevy II, Falcon, Valiant, and Studebaker. 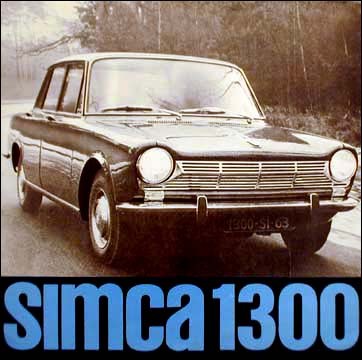 It stood up most solidly against the imported Austin A60, the DKW 1000, the Envoy, the Hillman Super Minx, The Morris Oxford, the Renault Caravelle, the Vauxhall, the Volkswagen 1500 and Volvo’s PV 544.
cues that made it distinct from the Classic. At the very apex of the Rambler summit shone the Rambler Ambassador. Heretofore, it had always been designated as Ambassador by Rambler. The wording of the name was a subtle nuance designed to elevate the luxurious Ambassador above its more economical kin. Management decided that was no longer necessary. For the first time since the marque debuted, every car on the dealer’s showroom floor carried the Rambler emblem. Like its sister Classic, the Ambassador was fresh from the ground up. With promises of delivering more style, more luxury and more V-8 performance, the Ambassador 880 four-door sedan listed for $2,978 and the 880 Cross-Country Wagon sold for $3,329. 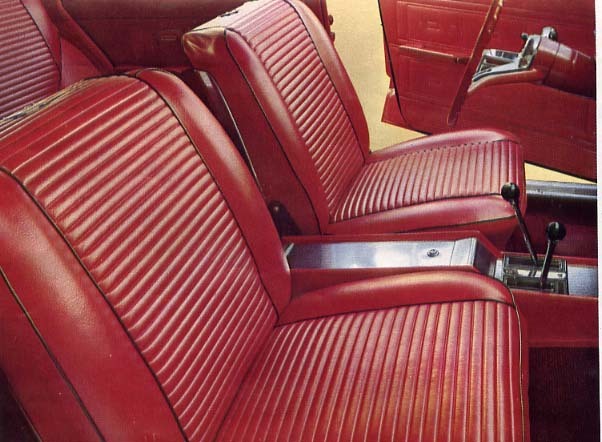 bucket seats and a centre console in 1963. The Twin-Stick semi-automatic transmission is shown. Folks have always been willing to shell out a couple of bucks for extras. Popular add-ons for this year’s Ramblers included $7.50 for a block heater, $90.50 for the Weather Eye Heater--both practical for our long, harsh winters. One could write a cheque for $31.95 for the Airliner reclining seats and $30.05 for headrests and $56.95 for five seat belts. It cost $11.25 for windshield washers, $13.40 for backup lights, $212.00 for the Flash-O-Matic transmission, $15 for undercoating, $32.50 for two wheel rims (for snow tires), $20 for a set of full wheel covers and $15 for whitewall tires. saving frugal travellers bundles of money on the road. Rambler Canada's executives were more than happy with Track & Traffic’s evaluation of “satisfying” rather than “spectacular” when all was said and done. Motor Trend magazine had named Rambler as its Car of the Year. The Brampton factory had doubled in size during the year to keep up with the avalanche of orders. The company started exporting right-hand drive Ramblers to the UK in February, accounting for half of the Canadian-built automobiles imported by Britain that year. 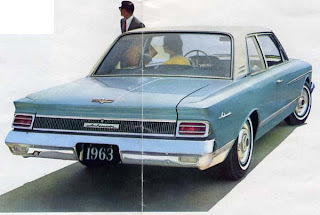 Rambler placed sixth in the domestic automotive sales chart for the calendar year with 27,019 sales according to Canadian Automotive Trade, (Ward’s Automotive Yearbook reported 28,602 sales) right behind fifth place Volkswagen and fourth place Valiant. Workers in Brampton built 30,167 Ramblers during the 1963 calendar year and a total of 27,411 units during the model year and the 1964 picture was only going to get brighter.